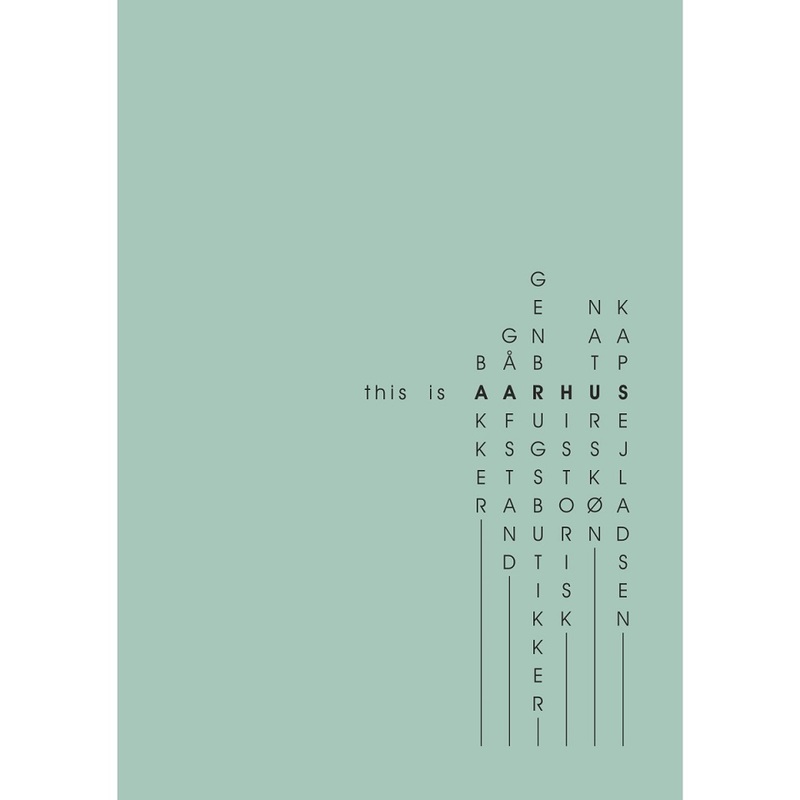 “This is Aarhus” print defines Aarhus through concepts we find relevant to Aarhus. In 2015, we spent a week in Aarhus to feel the character of the city. Through first hand experiences and observations, we came up with keywords that we think best tell the essence of Aarhus. Each letter that makes the word “Aarhus” is used vertically for these keywords. Thus, from a pool of concepts we chose the ones that could fit into this puzzle: bakker, gåafstand, genbrugbutikker, historisk, naturskøn, and kapsejladsen. Product details can be found below the images. Check it out! “Soul of City” is a collection about our perception of cities and their culture. It aims to present the patterns we observe, the elements we find unique, and the keywords we associate with a specific city. 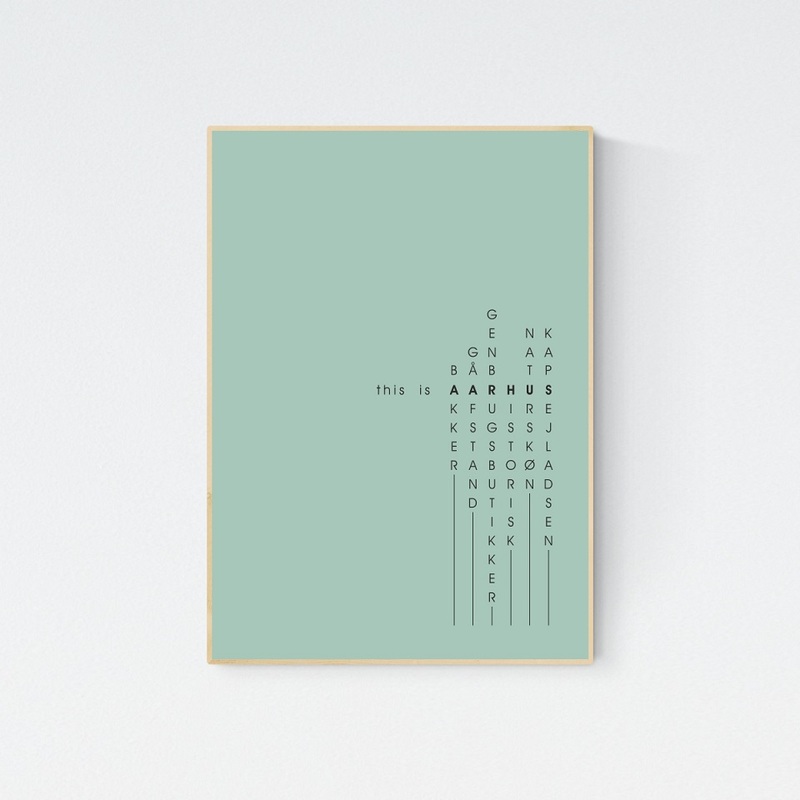 “This is Aarhus” print defines the city through concepts we find relevant to it. In 2015, we spent a week in Aarhus to feel the character of the city. Through first hand experiences and observations, we came up with keywords that we think best tell the essence of Aarhus. Each letter that makes the word “Aarhus” is used vertically for these keywords. Thus, from a pool of concepts we chose the ones that could fit into this puzzle: bakker, gåafstand, genbrugbutikker, historisk, naturskøn, and kapsejladsen. Designed in 2015 in Copenhagen.